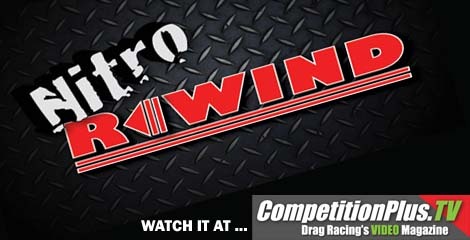 The second episode of Nitro Rewind will preview to the 31st annual Summit Racing Equipment NHRA Southern Nationals. The show, an internet based broadcast, is hosted by Bill Stephens and feature interviews from Top Fuel and Funny Car NHRA competitors as they review Houston’s national event and look ahead to Atlanta. In this episode Top Fuel driver David Grubnic talks about the season heating up as it heads to Atlanta and TJ Zizzo gives fans a perspective from the eyes of an independent team. Nitro Rewind caught up with a handful of Funny Car drivers including Houston race winner Jeff Arend, two-time Funny Car world champion Cruz Pedregon and independent drivers like Bob Bode and Jon Capps. Tim Wilkerson gives his tips on how he gets his Mustang Funny Car down hot tracks like Atlanta Dragway as well. As a special treat for Nitro Rewind viewers The Legacy Coach Scott Garwood checks in and gives fans a quick tip on how they can make some progress in being more successful in their daily lives. 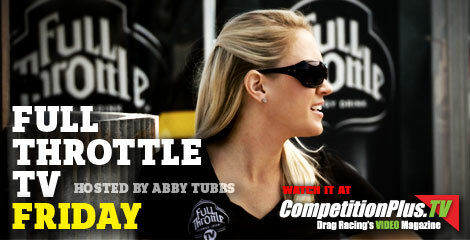 In this segment of Full Throttle TV Friday, Full Throttle TV asked some of the most rocking drivers in the NHRA what was their first rock concert. 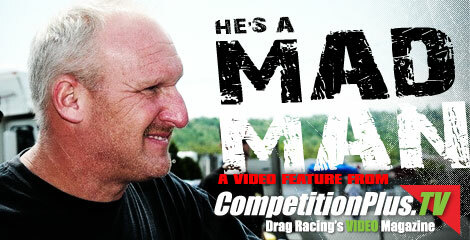 We hope you enjoy the first edition of Married with Dragsters at CompetitionPlus.tv. Ashley Force Hood grew up watching her dad become the greatest NHRA Funny Car driver in history, but little did she know that one day he would be standing in her way of making motorsports history. Force Hood became the first female nitro winner in NHRA Funny Car history. 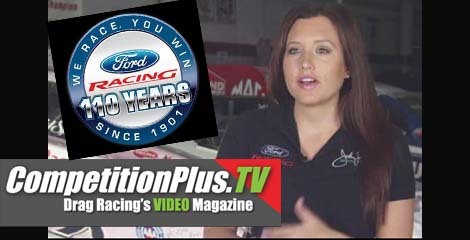 In this latest episode of Full Throttle TV, ESPN's Stat Man Louis Bloom delves into drag the 60 Greatest Moments as unveiled during the NHRA's 60th Anniversary. This episode focuses on the legendary Shirley Muldowney and the advancement of the female professional drag racer. We’ve uncovered another one of the popular 1970 drag racing documentaries, this one titled Wheels of Fire. This documentary, according to the youtube.com channel was written and directed by Douglas Kent Hall. 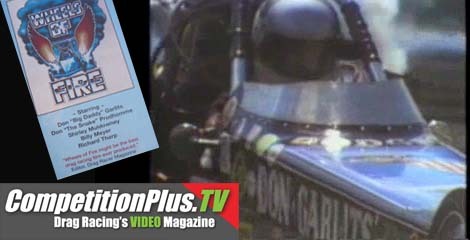 Wheels of Fire focuses on the lives of five major drag racers of the era: Don Garlits, Don Prudhomme, Shirley Muldowney, Richard Tharp and Billy Meyer. This hour long movie was produced by Texas race promoter Buddy Boren. You can buy this video on DVD AT Dave Wallace’s Hot Rod Nostalgia online store. This video is a neat find on YouTube but to be appreciated you must see it on the big screen in your living room.